This guy has all the moves. Because now everyone has the chance to snap a video of something hilarious and post it on the Internet. 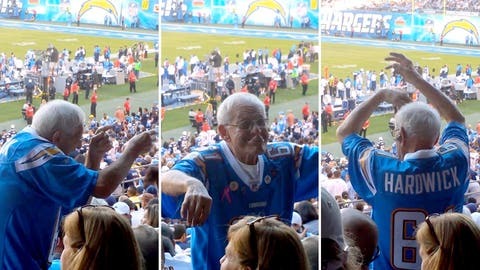 Take, for instance, the video below of an old guy getting down during the Bengals-Chargers game Sunday. Before you watch this, though, please allow us to give all of you folks a lesson in recording a video on your phone: TURN YOUR PHONE SIDEWAYS. OK, rant over. It’s time to dance.